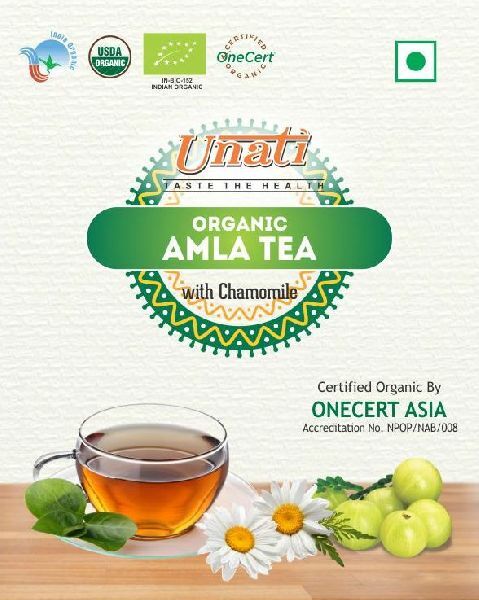 Highlights The Unatiâï¿½ï¿½s Organic Amla Tea with Chamomile is concentrated with German Chamomile without any harmful or unnecessary additives. It boosts immunity and metabolism. It is good for hair, skin and digestion.